For years now, readers of the Russell Memoirs have wondered about the tantalizing mentions of Japan. Mary Russell and Sherlock Holmes had spent three weeks there, between India (The Game) and San Francisco (Locked Rooms). The time has finally come to tell that story. 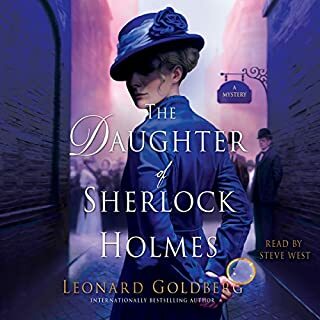 It is 1925, and Mary Russell and Sherlock Holmes arrive home to find...a stone. A stone with a name, which they last saw in the Tokyo garden of the future emperor of Japan. It is the first indication that the investigation they did for him in 1924 might not be as...complete as they had thought. In Japan there were spies, in Oxford there are dreams. In both places there is a small, dark-haired woman and danger. What made the experience of listening to Dreaming Spies the most enjoyable? Jenny Sterlin has always been the voice of Mary Russell for me. It's the voice I heard in my head long before I listened to my first LR King via Audible. Writing that evokes place and time and remains lyrical and clean. What does Jenny Sterlin bring to the story that you wouldn’t experience if you just read the book? Russell and Holmes come to life through her voice. I very nearly did listen to it in all one sitting. Knitted most of a sweater in fact. Will listen again beginning tomorrow. Artfully written and superb descriptions of Japanese culture. The relationship between Holmes and Mary continues to grow. In Locked Rooms, when Laurie R. King mentioned the stop Holmes and Mary made in Japan on their way from India to San Francisco, it was clear that there would be a book based on their Japanese adventures. Four books later, we have that tale. King adds another layer which took place a year later, in Oxford. It is a very satisfying double story, one which allowed King to contrast the attitudes and actions of Mary and Holmes with those of their Japanese allies. The plot takes many twists, surprising even Holmes. 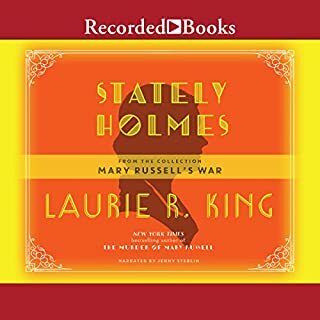 Couple the intelligence and skill with which King writes, with the intelligence and skill Sterlin brings to the narration and you have a winning audiobook. It's been well worth the wait! 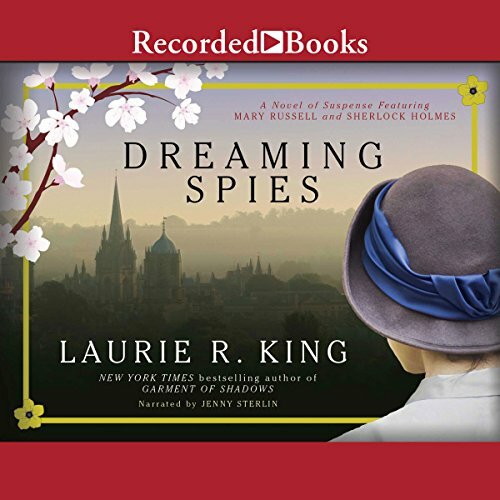 What did you like best about Dreaming Spies? What did you like least? while i enjoyed the description of life in Japan in the 20's this wasn't a compelling mystery and both Mary and Holmes seem to have lost their deductive powers. 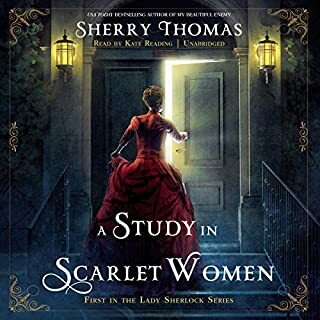 Laurie King is back strong with this installment of the Sherlock and Mary Holmes stories. Very fond narrative description of Oxford and Japan. Sadly, the reading leaves much to be desired. Himself sound bored and stuffy, the wit is missing from his voices the Japanese accents are appalling. Yes, if the person is a Sherlock/Mary Russell fan and is intersted in Japanese culture. 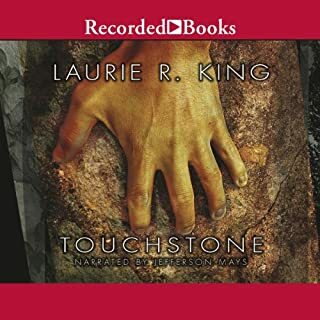 If you’ve listened to books by Laurie R. King before, how does this one compare? This story is not my favorite, but I completed it and enjoyed some parts. Sherlock and Mary Russell being outsmarted. A rare occurrence. This story, for me, had a very slow beginning. There were too many descriptions of the people on the ship. I was actually wondering if we would ever arrive anywhere. I guess I every book can't be her best. usually I feel like I've learned something eg history, culture but not so much this time. the story wasn't very compelling either. it was just flat. If you are distracted by bad narration, you might want to give this title another think. Jenny Sterlin's Japanese accent is something like a cross between German and generic Asian, but mostly German, I am surprised she didn't use a dialect coach. The story is good so I am working my way through it, but it is a tough go. scenes where they have no role except to spectate? It dragged - slow starting and never quite engaging into what I consider a true thriller. I actually couldn't get past the 3rd chapter, even when trying very hard. I guess the narrator's voice was not really pleasant to my ears. It sounded monotonous, yet felt important somehow, which kept me both alarmed and disappointed all the time. Great book, brilliantly narrated by Ms Sterlin, who I find I actually think of as Mary Russell. Lots of twists and turns in this story, and just when you think it is all finished, yet another twist comes along. 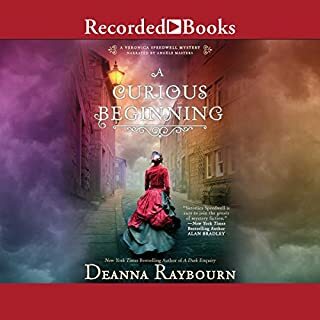 Jenny Sterlin, the narrator is as ever the voice of Mary Russell. She reads story as if she really is the elderly Mary Russell remembering back over the adventures that she’s had with her husband. 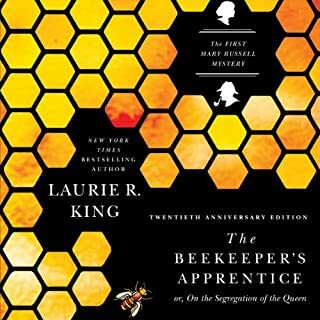 Laurie R King’s adventures of Mary Russell are spellbound binding and if you are new to the adventures of Mary Russell then better to go back to the beekeepers apprentice which is the start of her encounter with Sherlock Holmes.